The comedian on drawing blue crowds in red states, his campaign to unseat a terrible Congressman and why it’s wrong to say anyone should be taken off the air. 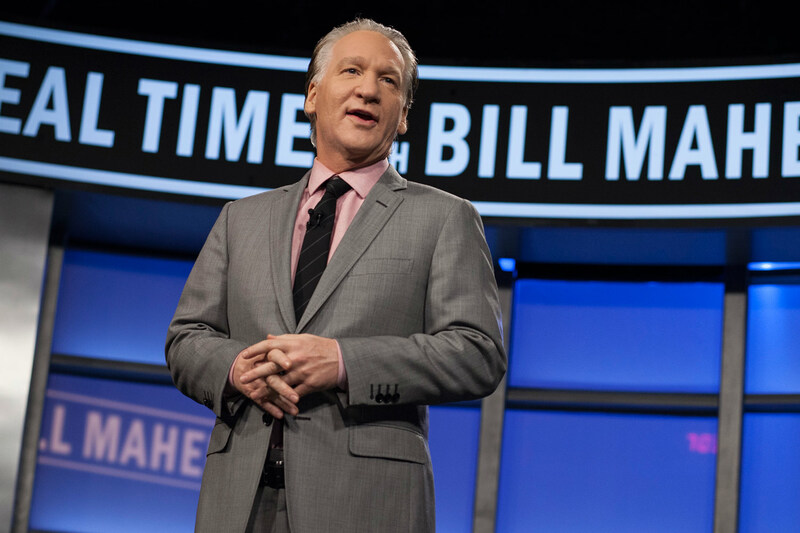 Comedian and political satirist Bill Maher has been the host of HBO’s Real Time With Bill Maher since 2003. His previous show, Politically Incorrect, which started in 1993, was canceled by ABC after 9/11. This interview has been edited and condensed. Jon Wiener: You do live shows all over the place. What’s it like to do your left-wing live show in a right-wing state like Alabama? Bill Maher: I’ve been to Alabama twice this year. It’s a lot of fun. I’ve yet to find a place in America that’s so backward I can’t find two or three thousand screaming liberals to come out on a Friday night and cheer for the blue team. I think they’re gratified to look around the room and see so many people who they didn’t realize live in their area and think like they do. JW: Your live shows have been picketed by the Westboro Baptist Church—the people with the “God Hates Fags” signs. What’s that like? BM: That’s what we love about America—everybody has free speech. I’m rather flattered that I’m being put in the same category as Satan. I treasure some of their fliers that I’ve collected. They have me Photoshopped with horns, and I’m praying to my satanic master, who of course is Obama, the Anti-christ. But the last time they did it, I went out to see them, and soon we were all taking pictures with their arms around me and smiling. You have to wonder how serious they are about the whole thing. JW: You have a plan to flip a district and defeat one lousy congressman. How’s that going? BM: The response we’ve gotten is off the charts. Our big problem now is deciding which one it’s going to be, because there are so many bad ones. There are a lot of people out there, real political operatives with real political knowledge—even some Republicans—who say, “We want to help you with this.” I have great hopes that it could happen. JW: Of course, it could also backfire. BM: Yes. Whoever we pick could use me and our show in their campaign fundraising, and we could wind up helping him. But I’m hopeful. JW: One memorable moment on Real Time: the show where you were heckled by a bunch of “9/11 Truth” people, who say the towers were blown up from the inside on the orders of George W. Bush. BM: On an earlier show, I had pointed out to them that this was impossible—it could not have been Bush, because it involved planning. And it was successful. But that didn’t sway them. Of all the people I’ve pissed off over the years, it was the truthers who organized themselves to infiltrate our audience and then disrupt the show. We were not prepared for this. The Irish in me came out, and I ran out into the audience and helped throw those people out—which they richly deserved. JW: You’ve had Jimmy Carter on your show a couple of times. You are a big Jimmy Carter fan. Why? JW: You’ve said your greatest achievement is “staying on the air.” Let’s talk about what happened with your show after 9/11. BM: That’s when I didn’t stay on the air! We were on six days after 9/11, and I stupidly believed what George Bush said, which was “go back to doing what you were doing or else the terrorists win.” So I went back to saying the truth as I saw it: I said the terrorists weren’t exactly “cowards,” which was how Bush had described them. People eventually reassessed and said maybe that wasn’t so bad, and pretty soon I was on HBO. But Americans often demand that people should be taken off the air. This is why I defend Rush Limbaugh when he says something boneheaded. I don’t agree with the calls that he must go away. No: nobody has to go away. Just change the channel and forget about it.